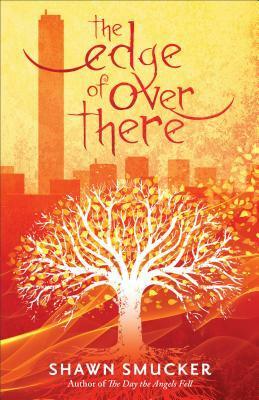 The Edge of Over There is the sequel to The Day The Angels Fell which I reviewed previously. I wanted to give Shawn Smucker another shot, so I decided to read this second novel. This book felt spiritual, but had no clear path and was dark at times. I was confused while reading it. I wasn't sure who was who, which made frustrated while reading it. Also, I thought the angels in the story were different. I also didn't completely understand The Tree of Life. It sounded like before the Tree of Life, there were other ones that existed. The book confused me and it wasn't in a way that I felt drew me closer to Christ, especially if I was reading a Christian fiction book to have elements of faith, I think this book was a stretch. Overall, as a fantasy book, this is probably a great read, but I struggled through this one. I am sure if you like fantasy books, you might really enjoy this book, but for me, I did not like it as a Christian fiction book . I give this book 3/5 stars.